"This column contains six vignettes of encounters in which I was the beneficiary of others' mercy. I hope this remembrance of my experiences will stimulate your own reflections on ways mercy has graced your life." ​The Evangelist, March 3, 2016. Since his election in 2013, Pope Francis has earned the respect and admiration of Christians of all denominations. This year, the Salem ecumenical Lenten book will be The Church of Mercy: A Vision for the Church. 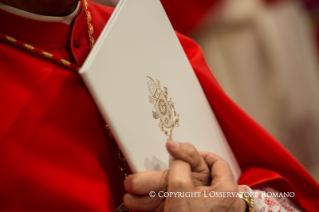 The book is a collection of excerpts from speeches, sermons, and other writings during the first year of Francis’s papacy. All are invited to join the study group which will meet on Fridays in Lent at 7:30 p.m., beginning on February 12th, at the rectory at St Paul’s Episcopal Church in Salem. Fr Gary Kriss will lead the group, as usual. Copies of the book can be obtained from Amazon.com and Fr Kriss will also have a few copies available for purchase. Participants are also welcome to attend a Lenten service and simple supper beginning at 6:00 p.m. at St Paul’s. Grow in understanding of the Extraordinary Jubilee of Mercy by reading the reflections of the pope who instituted it. The Online Book Club offers a setting to encounter an author's ideas and participate in conversation with others about the selected text. Read about Pope Francis's vision for the Church and discover how you can bring healing and mercy to wherever suffering, division and injustice exist. "A good deal of the confusion stems from a misinterpretation of Francis’s stress on mercy. In order to clear things up, a little theologizing is in order. It is not correct to say that God’s essential attribute is mercy. Rather, God’s essential attribute is love, since love is what obtains among the three divine persons from all eternity. Mercy is what love looks like when it turns toward the sinner. To say that mercy belongs to the very nature of God, therefore, would be to imply that sin exists within God himself, which is absurd. " Read the full article or see the video to the left. Each video in this series poses an answer to the question: What is mercy? They invite us to pause and reflect on what mercy means and how we can practice it more intentionally in our daily lives. See the other videos. ​I am convinced that the whole Church will find in this Jubilee the joy needed to rediscover and make fruitful the mercy of God, with which all of us are called to give consolation to every man and woman of our time." The logo and the motto for the Jubilee Year of Mercy provide a fitting summary of what the Jubilee Year is all about. The motto Merciful Like the Father (taken from the Gospel of Luke, 6:36) serves as an invitation to follow the merciful example of the Father who asks us not to judge or condemn but to forgive and to give love and forgiveness without measure. The video below, about the design and creation of the logo, though in Italian, is worth watching. 2. We need constantly to contemplate the mystery of mercy. It is a wellspring of joy, serenity, and peace. Our salvation depends on it. Mercy: the word reveals the very mystery of the Most Holy Trinity. Mercy: the ultimate and supreme act by which God comes to meet us. Mercy: the fundamental law that dwells in the heart of every person who looks sincerely into the eyes of his brothers and sisters on the path of life. Mercy: the bridge that connects God and man, opening our hearts to the hope of being loved forever despite our sinfulness. Read the full text of Misericordiae Vultus. 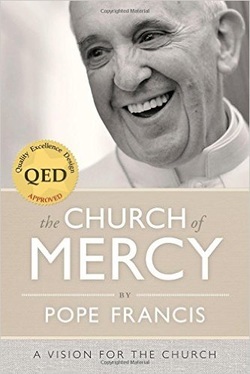 The Jubilee of Mercy was announced by Pope Francis as a year to be lived intensely in each particular Church, allowing every person to encounter the mercy of God the Father through diligent labor for the Church's mission there. 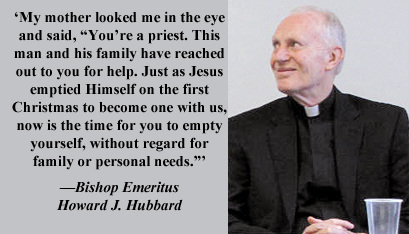 The most evident sign of this pastoral care is the chance to open a Door of Mercy in every diocese. 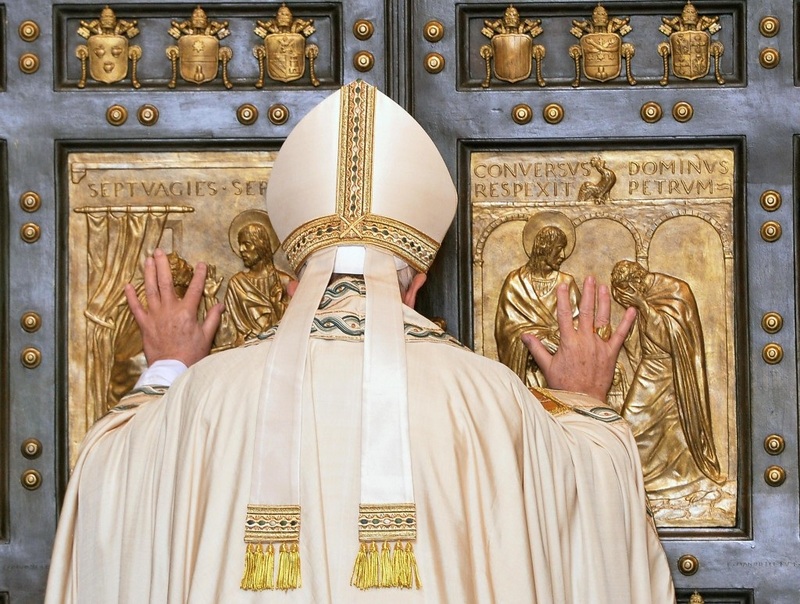 These doors, analogous to the Holy Doors of the Papal Basilicas in Rome, will permit even people who cannot travel to Rome to make a Jubilee pilgrimage. 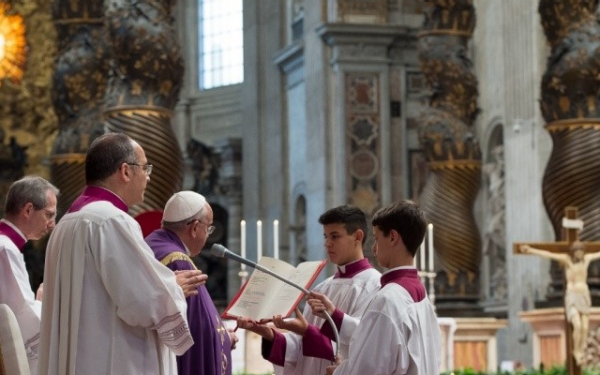 After the solemn inauguration of the Holy Year– marked by the opening of the Holy Door of Saint Peter's Basilica next December 8th – all the particular Churches will open their own Doors of Mercy in communion with the Church of Rome as part of the Eucharistic celebration of the Third Sunday of Advent (Gaudete Sunday). 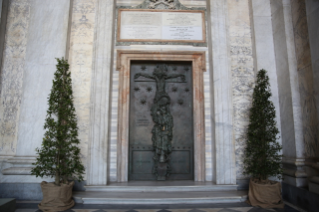 As a matter of fact, the Holy Father will open the Holy Door of the Cathedral of Rome, the Basilica of Saint John Lateran, on that Sunday. Every particular Church will also open any other Doors of Mercy, namely those designated at important Shrines, during the celebration of the Eucharist for the Third Sunday of Advent, which may be presided at by a delegate of the Bishop. On Tuesday, December 8, the Solemnity of the Immaculate Conception of the Blessed Virgin Mary, Pope Francis solemnly inaugurated the Jubilee Year of Mercy with the celebration of the Holy Sacrifice of the Mass. "This Extraordinary Holy Year is itself a gift of grace. To pass through the Holy Door means to rediscover the infinite mercy of the Father who welcomes everyone and goes out personally to encounter each of them. This will be a year in which we grow ever more convinced of God’s mercy. How much wrong we do to God and his grace when we speak of sins being punished by his judgment before we speak of their being forgiven by his mercy (cf. Saint Augustine, De Praedestinatione Sanctorum, 12, 24)! But that is the truth. We have to put mercy before judgment, and in any event God’s judgement will always be in the light of his mercy. In passing through the Holy Door, then, may we feel that we ourselves are part of this mystery of love. Let us set aside all fear and dread, for these do not befit men and women who are loved. Instead, let us experience the joy of encountering that grace which transforms all things." Read the full text of Pope Francis’ prepared homily for the Solemnity of the Immaculate Conception and the Inauguration of the Jubilee of Mercy.